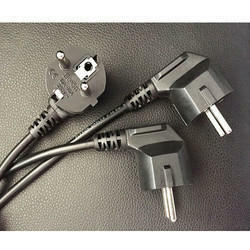 Manufacturer of a wide range of products which include 2 pin class-ii 2.5 amp european plugs, 2 pin class-ii 10/16 amp european plug and 2 pin 10 amp european plug with earthing contact. 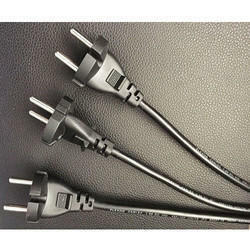 The Type C electrical plug (or European plug) is a two wire plug that has two round pin. It's into any socket that accepts 4.0 - 4.8 mm round contacts on 19 mm centers. They are being replaced by E, F, I, K or N sockets which work perfectly with Type C plugs. 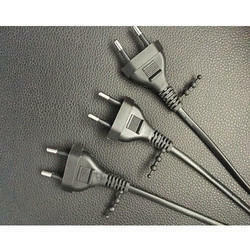 Type C plug is generally Limited for use in an appliance that requires 2.5 amps or less. The Type C electrical plug is a two wire plug that has two round pins. It fits into any socket that accepts 4 - 5.10 mm round contacts on 19.80 mm centers. They are being replaced by E, F, I, K or N sockets which work perfectly with Type C plugs. The Type E electrical plug has two 4.8 mm round pins spaced 19 mm apart and a hole for the socket's male earthing pin,The Type E plug has a rounded shape and the Type E socket has a round recess.